FAMILY Home for 20yrs w/plenty of Memories & now it’s YOUR turn to do the same! TUCKED away in a QUIET Cul-De-Sac Backing ALR Land. 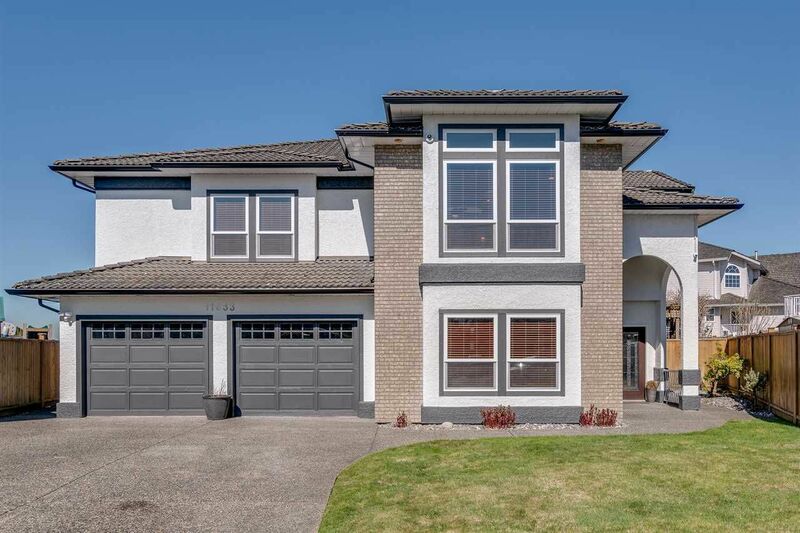 YOUR 5 Bed, 3 Full Bath Semi Custom HOME comes w/FEATURES which include, High Ceilings Up & Down, QUALITY Slate & laminate flooring throughout, GRANITE counters w/ISLAND & High-end STAINLESS Appliances in Kitchen, Newer POT Lighting & Wrought Iron Banister, High Efficiency Furnace & Central A/C. Suite potential. Functional layout w/French Doors leading to YOUR private 26'x11' Covered Deck! Get the KIDs OUTDOORS w/24'x48' Sport Court w/OFFICIAL NBA Hoop. All this Conveniently LOCATED w/in MINUTES to all Levels of SCHOOLS, Shopping, West Coast Express Commuter TRAIN, Golden Ears BRIDGE & so much MORE!